The thyroid gland is responsible for regulating your metabolism, heartbeat, energy levels, muscle strength, appetite, health of your heart, brain, kidneys, and many other important bodily functions. If something is erroneous with the thyroid, a person will likely experience a lot of unpleasant symptoms, the most common of which is weight gain. Millions of people suffer from hypothyroidism in America alone. Due primarily to diet and genetic issues, the thyroid gland is not able to produce enough thyroid hormones. Thyroid issues often go undiagnosed since so many of the symptoms from low thyroid hormone levels can be mistaken for symptoms of other problems. This is where thyroid supplements come in. One of the major functions of thyroid hormones is to regulate the metabolism rate. If cellular metabolism goes down, the body may suffer from mild or extensive dysfunction. An thyroid supplement contains crucial minerals and vitamins which work collectively to boost thyroid health. Herbs like ashwagandha, kelp, schisandra, and bladderwrack offer a host of benefits. They combine with enzymatic systems to improve carbohydrate metabolism, to offer powerful antioxidant protection, and to control overall well-being. They also help reverse signs of autoimmune diseases brought about by hypothyroidism. While a thyroid supplement is not supposed to be taken directly for weight loss, it can help people suffering from thyroid conditions to lose weight. Many patients who have taken thyroid supplements say they have lost up to 20 pounds. Thyroid supplements are free of stimulants like khat, bitter orange, and yohimbine. While some natural stimulants may be good for the body, most aren’t good for the thyroid. A supplement with one or more of these stimulants can make your thyroid problems worse. As indicated in our table below this section, the most common thyroid supplements include: Vitamin B-12, Iodine, Magnesium, Saraparilla Root, Zinc, Selenium, Copper, Manganese, Molybenum, Ginseng, L-Tyrosine, Schizandra, Ashwagandha Root, Bladderwrack, Cayenne Pepper, and Kelp. If you are looking for in depth analysis on each nutrient’s relationship to the thyroid, click any of the link in the previous sentence. The list below will summarize the basic connection to the nutrient with the thyroid and hormone production. This herb helps people suffering from hypothyroidism. It perfectly complements synthetic thyroid medication. When mixed with ashwagandha, it can stimulate the creation of thyroid hormone in people with hypothyroid conditions. Rich in iodine, it can improve overall thyroid function by replacing the missing ingredient. This adaptogenic herb helps people with thyroid problems and autoimmune conditions. When used properly, it can benefit the body in various ways. It increases the production of thyroid hormones by improving thyroid health or by supplying iodine. 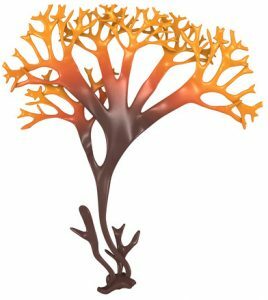 This beneficial seaweed is packed with iodine. It helps prevent or reverse hypothyroidism by supplying the body with essential minerals like iodine, iron, potassium, and calcium. Some forms of hypothyroidism are caused by lack of iodine. The body needs iodine every day in order to produce thyroid hormones. Sadly, most people don’t consume enough iodine (according to the World Health Organization). An herbal thyroid supplement contains the recommended amount of iodine, 150 mcg. This herb helps the body in many ways. It has a positive effect on the nervous system, endocrine system, respiratory system, immune system, gastrointestinal system, and cardiovascular system. It controls cortisol levels during chronic stress and protects liver tissue, ensuring the thyroid stays healthy. Without a healthy liver, the thyroid doesn’t work as it should. Abundant in capsaicin, cayenne helps get rid of hypothyroidism symptoms. Capsaicin ensures there is sufficient production of thyroid hormones. It also deals with two major symptoms of thyroid conditions: poor blood circulation and an irregular heartbeat. While iodine isn’t an herb, it is necessary for proper thyroid function. 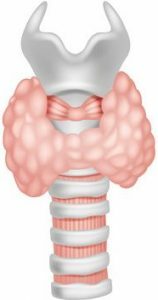 People with underactive thyroids need more iodine. The body doesn’t create iodine so people must get it from their diets. Lack of iodine can lead to grave conditions such as myxedema coma and cancer. An herbal thyroid supplement can deal with the problems caused by inadequate iodine. When the body lacks manganese, it cannot produce T3 or T4 hormones. The body uses manganese to create manganese-dependent superoxide dismutase, a major antioxidant enzyme. The enzyme protects thyroid hormones by lowering oxidative stress. When the enzyme is lacking, one experiences more stress and thyroid hormones are not activated as usual. A vital trace mineral, molybdenum merges with enzymatic systems to regulate carbohydrate metabolism. It also ensures the body’s PH is balanced, enhancing overall well-being. This vitamin must be present in a thyroid herbal supplement because it affects red cell metabolism. 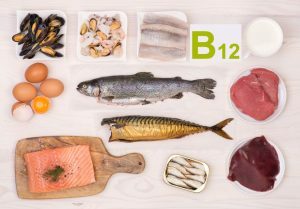 Oftentimes, people who suffer from hypothyroidism do not have adequate amounts of vitamin B12. The vitamin affects mental faculties, makes you more energetic, and fortifies your nervous system. The body needs selenium almost as much as it needs iodine. When it is missing, the body produces insufficient T3. Selenium deficiency leads to various thyroid diseases. Herbal thyroid supplements with selenium shield the thyroid from oxidative damage. Copper activates the thyroid and also ensures that the blood doesn’t absorb too much T4. Without copper, the hypothalamus cannot control thyroid hormone successfully. Thyroid diseases can result in zinc deficiency. Zinc is needed by the body as it determines how the immune system works. It must be present for T4 conversion to T3. This artificial amino acid aids in the production of thyroxine, epinephrine, and dopamine. It helps stimulate the thyroid gland in T4 to T3 conversions. When it is not present in the body, hypothyroid disorders can occur. The body uses it to manufacture neurotransmitters. This element controls over 300 of the body’s enzyme reactions. Without it, T4 cannot be converted to T3. You easily lose magnesium. 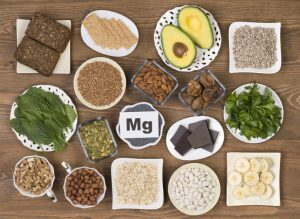 Urinating or eating refined foods leads to magnesium loss. The most important aspect in determining the best thyroid supplement are the ingredients within the bottle and its quality. Although some manufacturers may have similar formulas, their thyroid supplements can have very different effects on the same person. This is due to the quality of the ingredients within the bottles. In many cases, the quality of the ingredients and where they are sourced from, can have bigger effects than the ingredients themselves. A manufacturer can talk and write about how the iodine within its supplement is the best, but ultimately 1mg of high quality iodine extracted from underwater kelp can have more of an effect than 10mg of one that is synthetically produced. Be sure to check out the list below to make sure you find a supplement that works best for your needs. Thanks! This is very helpful in learning what each thyroid supplement has inside it. I do have a question regarding thyroid supplements in general. I have seen some articles that are advising people to avoid them for a variety of reasons. What do you think? Would this be considered a good supplement for if you do not have a thyroid at all? If not, what would be? Thank you! These supplements are designed for people with thyroids – and most likely will not have a noticeable effect for those without one. A regular multivitamin might be a better choice for someone without a thyroid. What I like about most of these thyroid supplements, however, is that some of them come with money back guarantees so patients can try them without the fear of losing their money. I’ve seen similar reports about staying away from thyroid supplements and thyroid advisors response helps address most of it. I am not a professional by any means but I’ve taken a few that my doctor told me to stay away from. One of the most important things to know before purchasing one is how the ingredients interact with the type of thyroid disorder you have. Most supplements seem to have ingredients that benefit people with a hypothyroidism and not hyper. I have hyper so my doctor told me to stay away from the ones i was taking because they have iodine, kelp etc. So if you plan on taking one i would advise you ask your doctor. With that being said, I am glad they posted about thyroidchoice because it seems like something i maybe be able to use but i wont know until i speak to my doctor. With most comments, I’ll end up replying in a couple sentences, but because this a question that I’m sure a lot of others have as well, I’m going to take some liberty here and write a decent amount about my thoughts on this topic. Almost all of the thyroid supplements we review on this site is relatively safe. They contain nutrients, herbs, minerals, and vitamins that you can find in regular diets and certain food. They just conveniently and accurately place them into capsules so that you can make sure your thyroid is getting all the support it needs to function in a healthy manner. However, there are thyroid supplements that some experts consider to be unsafe. These are most commonly supplements that contain crushed, raw thyroid extracts from bovine (cattle). The idea with these thyroid supplements is that the thyroid glands from animals contain some amount of T3 and T4 thyroid hormones. Thus, by ingesting these supplements, you are in turn taking thyroid hormones that can boost an under active thyroid. Please note that this is a very valid method of treating an under active thyroid. Some of the relatively popular thyroid medications on the market, such as Armour Thyroid, Nature-Throid, Westhroid, all work this way. They all contain naturally desiccated thyroid glands and many patients say that it works great for them. For some patients, it works a lot better when compared to other thyroid medications such as Synthroid/Levothyroxine. The controversy that arises here is the difference in regulation between supplements and prescription drugs. If you take a thyroid supplement that contains – lets say – 150mg of Bovine Thyroid Tissue, what does that actually tell you? You don’t know the exact amount of T3 and/or T4 hormones in each capsule. It is possible that one capsule contains very little T3 and T4, while another contains a lot of both, or somewhere in the middle, or a lot of one and none of the second, etc. Hopefully you get the idea of what I’m trying to point out. With prescription medications, it’s an entirely different story. Armour Thyroid, for example, contains liothyronine (T3) and levothyroxine (T4) hormones in about a quarter ratio. If the dosage is 60-65 mg of thyroid extracted and crushed from porcine (pig), then it contains 9 mcg of T3 and 38 mcg of T4. In essence, you can be sure of how much thyroid hormone you are consistently putting into your body. So I do think it is important to be weary of those thyroid supplements that contain actual thyroid hormones. It’s seems like a better idea to get those medications through doctors. But again, the thyroid supplements seen in this website, I do believe, should be taken to support healthy thyroid functionality. What ingredient do you consider to be the most important or essential I guess in a thyroid supplement? I hate to take the cop out answer and say it depends on the person – but honestly, it does. The most important mineral, herb, vitamin, or nutrient in these thyroid supplements will be the one(s) that your body is lacking or is not getting enough of through your diet. Getting blood tests done can help figure out which nutrients you are lacking as well as figure out the values of TSH, T3, T4, etc. in your body. If you’re asking which vitamins and/or minerals were most lacking in individuals with thyroid disorders, I would have to say Iodine and Zinc, in that order. I would look for a thyroid support supplement that contains both of these. Followup to Abby’s question. Are there any ingredients we should avoid? Especially in a thyroid supplement? I would avoid calcium and soy. Calcium is especially bad if you are currently on thyroid medications, such as synthroid, as it can interfere with hormone absorption. See https://www.ncbi.nlm.nih.gov/pubmed/21595516 for more details and information about this. As for soy, it is a sort of controversial topic whether hypothyroidism patients should avoid it. Some experts believe they should, and others do not think it has much effects. Perhaps it’s better to stay on the safe side. I have been feeling a bit tired for the past couple of months. My doctor decided to do a thyroid blood panel test on me. The values came back within “normal” range, but they were on the lower side of that. I am considering buying one of these thyroid supplements and trying it out. Yeah, many doctors are hesitant to prescribe thyroid medications when patients return values in the “normal” range. The only options are finding another doctor or taking thyroid supplements. I think it could definitely help people in similar circumstances as yourself. I would be surprised if it doesn’t help in some fashion. Is there any special method of taking these thyroid supplements? Not really. They’re just like other supplements. Most of them recommend taking the capsules with meals, preferably breakfast. The most important aspect is to just be consistent. Take them around the same time everyday. Thanks for putting this list together! It is helpful. I am thinking about purchasing one. I am wondering how long does it take before noticing benefits. Whether in supplements like these or prescription thyroid medications such as synthroid? With the better thyroid supplements out there, you should feel improvements and benefits by the second or third week at the latest. Most people say it is much sooner, though. It does depend on the person and the type of thyroid supplement that is being taken. For the lower ranked supplements, I suspect it would take a lot longer – if ever – for you to exhibit betterment. i see that there are similar ingredients between multiple supplements. what is the difference between the ones that have the same? I believe I wrote a bit about this before – either that or I’m getting some deja vu. The formula is just one part of the puzzle and often times, what happens is that there will be a great formula but the extracts and source of the ingredients will not be the best kind of quality we want to be putting into our bodies. This is often the case with supplements – even those not in the thyroid health area – where some will have very similar formulas but will work a lot differently for similar people. Could you add some indicator if the supplement does not contain gmos or gluten. I know that would help me out because I am sensitive to those. Hmmm… I’ll look into it. However, that could take some time. It is definitely a good idea. Gluten and GMOs are known causes of hypothyroidism for some, so we would want to avoid those in our diet and supplements. What sort of side effects are common in these thyroid supplements? I have not seen many – if at all any – side effects with the higher ranked supplements. With some of the lower ones, I’ve seen some reports of anxiety, head aches, muscle aches, etc. Always stop taking a supplement if you experience these or other unwanted side effects. Could something like these help me? I am starting to look after my diet more. TSH is definitely high here, and T3 and T4 are lower than ideal. Depending on who your doctor is, they might put you on a low dosage of thyroid medication. As for your question – yes, I do think these supplements could help you as well. I’d recommend trying one of the higher rated ones on this website. Be sure to find one with a money back guarantee as well so you will not have anything to lose. Do you know if these are available in stores? I do not really like buying things over the internet. Some of the more popular thyroid supplements created by large companies (Gaia Herbs comes to mind) should be available in supplement stores such as Vitamin Shoppe or supermarkets such as Walmart. No one that I know of, has had trouble ordering them over the internet though, but it’s up to you. I’m currently on synthroid right now but i don’t think its doing enough for me personally. I still dont really feel energetic or motivated. would adding a supplement to my medication help? It’s always a good idea to check with your doctor before adding supplements to existing thyroid medications due to potential interference of hormone absorption. With that being said, it is not uncommon for patients, especially those with a low dose, to add a thyroid supplement to their regimen. If you do choose to take a thyroid supplement, be sure to take the supplement at least 3 hours after taking your synthroid to lower the potential for interference. I took some thyroid supplements a couple years ago, but it did not do much for me. I did not feel much different. Are these different and do you think they can really help? I do think these thyroid supplements can help support your thyroid gland and its functionality. I would not recommend them otherwise. If you remember the thyroid supplement you took, I can maybe provide more information about why it was potentially ineffective. What likely happened, was that the marketing or hype of a brand did more than what was actually inside the bottle. I am wondering if you need to have a thyroid condition in order to take these supplements. I believe I have the symptoms of a slow thyroid, but have not been able to verify it with my doctor yet as my yearly appointment is not up yet…. Is it still possible to take these and get the benefits? Usually, people who have confirmed in some way, usually through lab tests or consistent symptoms associated with hypothyroidism, decide to take thyroid supplements. In either case, you will still get the benefits of these thyroid supplements, if you decide to take them. It’s actually possible that you restore your thyroid by the time your appointment comes up (if its not for a couple months.) Your doctor can verify this at that time, or advise you on other options. I am currently taking a low dosage of synthroid due to my doctor’s diagnosis of subclinical hypothyroidism. I do not like some of the side effects, however. I am considering taking thyroid supplements as an addition or perhaps to eventually replace synthroid. What differences can I expect? Many patients do take synthroid along with thyroid supplements, like those on this page. A lot of them report feeling a lot better and energized with both. I haven’t heard of anyone feeling worse. It’s a good idea to consult with your doctor first, though. As for whether it can replace synthroid… I would usually say no – but if you’re on a very low dosage of synthroid, it might be possible. Obviously, every case is different, and for a lot of people, they will likely have to take synthroid for the rest of their lives. But it is also possible you are a perfect fit for thyroid supplements and end up rebalancing your thyroid. i ve read your article on which thyroid supplements to avoid. but it did not seem very complete. are there other things in these thyroid supplements i should be wary off ? That article covered the main idea of what to avoid in some thyroid supplements: which was basically raw glandular extracts. Glandular extracts are a very useful treatment option (see our article on Armour Thyroid) but the unregulated nature of supplements often results in large fluctuations of hormones in each capsule compared to another one. Drugs like Armour Thyroid or Nature Thyroid produced in pharmaceutical labs are much better alternatives if you’re absolutely set on taking a pill with thyroid extracts from other animals. But, glandular extracts is definitely not the only thing to avoid in thyroid supplements. Calcium is another ingredient I would stay clear off – especially if you take synthroid or another form of levothyroxine. See this study on how calcium can reduce T4 absorption. I was taking 25mg of Levothyroxine for the past two months. To be honest it was making me stay in bed. My whole body hurt and I just did not have any energy to at least get up and eat. So I stopped the medication went to buy a thyroid supplement and I feel wayyy better than I have in two years. Levothroxine making my hands and feet have unbearable pain. I can’t go back to that. So I will just keep up with my thyroid supplement. If i am wrong for doing so,please do advise me. If you feel better with thyroid supplements than before, it might be better just to go with that. Your medication in conjunction with both could help as well, if you have tried that already? Are there any thyroid supplements that contain Vitamin A? I have read that this is needed by the thyroid as well, but do not see any on this list. You’re right that Vitamin A is needed by the thyroid gland to produce and synthesize hormones. It’s rare though we see them in thyroid supplements primarily because Vitamin A deficiency is super uncommon in the United States. It’s a lot more prevalent in third world countries. Diet in America, even though it’s not great, does cover Vitamin A well. But if you’re still worried about your Vitamin A intake, you can take another supplement that covers it specifically in addition to thyroid supplements if you take them. Great info! I have not tried Ashwagandha yet, but plan to do so after reading about it on your website and then seeing these supplements with it. Are their other herbs you recommend taking? I feel like they help me a lot more than other things. Definitely do try Ashwagandha. It’s a great herb that can help with thyroid disorders. Here’s an article that covers other herbs for thyroid health. My doctor recommended getting a supplement because some of my vitamin levels were low after doing a blood test. She said be sure to find one that is made with “good manufacturing processes.” Do you know about this and which ones fit her meaning? I believe what you or your doctor are referring to is: Current Good Manufacturing Practices or CGMP for short. Basically its a means of ensuring that the supplement meets a certain quality standard. All supplements made in the United States has to meet this bar according to the law. So, as long as the supplement is made in the USA, it should be good. Some manufacturers go above and beyond this standard as well. The quality is usually seen in the product. Haha, you’re right there’s no dumb questions. I’m sure someone else had a similar inquiry, but didn’t want to take the time to write a comment! Unfortunately, it does not work that way. If you take one of these thyroid supplements – especially ones on the higher end of the ranking – you’re already covering a decent amount of your bases in terms of nutrients, vitamins, minerals, and herbs. Taking another one won’t amplify the benefits – unless it contains an ingredient that the first one didn’t. You do occasionally see two or three different types of thyroid supplements from the same store or website. But that’s usually because the company behind it wants you to buy the “pack” of them at the same time so you end up spending more money. Thanks for sharing your experience! Certainly a lot of information here, so let me try to address some of them. I managed my own dosages based on the way I happened to be feeling. So wrong, I know! Yeah, not the best idea, as you figured out later on! Thyroid medications (I assume you were on levothyroxine) take about 4-6 weeks to even begin to fully work within our bodies. So even if you were feeling worse or more tired one day, and decided to take an extra dosage, you wouldn’t feel the effects until much later. The fluctuations in dosages was also a likely factor in the energy, metabolism, etc. swings as time went on. What I did NOT know until 5 years ago was the importance of taking the medication on an empty stomach! This is basic information to anyone taking synthroid, but I guess since you were medically independent you didn’t have a doctor to tell you about this. A lot of foods can interfere with the absorption of levothyroxine – calcium, iron, even coffee (see our article on levothyroxine for more information – so a lot of patients end up taking it first thing in the morning when they wake up to avoid any potential issues. It seems that you found out about this information a lot later! Now, I’m well aware that you are completely appalled at what I’m telling you, but MANY people read reviews and I wish I had been informed 68 years ago. Hahaha, you’re kind of right. I guess for someone who lives and breathes thyroid information, my mindset is a bit different from most patients. It’s always great to see people’s experiences like this, because it reminds you that information you may consider basic, may be something that another patient has never heard of before. I’m sure a lot of patients were or even are in the same boat as you. I’m sure some of them will be able to see your post and experiences and benefit from it. Thanks for that. Onto your questions! In the constant effort to be healthier, I made the switch from iodized salt to sea salts. Would this impact a healthy diet? (I do have an affinity for Nori which is a staple of Japan made out of seaweed. Our bodies crave what we are lacking-IMO?) I haven’t stopped brushing my teeth, have switched to salt water pools and cut way back on the leafy greens . If you’re worried about getting fluoride while brushing your teeth, you can switch to a fluoride-free toothpaste. I’ve heard good things about Tom’s of Maine. Obviously don’t stop brushing your teeth! You don’t have to avoid all leafy greens – just cruciferous vegetables. See this link on which foods to avoid for the thyroid. If you switched from Iodized salt to sea salts, specifically Nori, it’s unlikely it will have a impact on your diet. Iodine is an important mineral for your thyroid, so you definitely need to get it in diet. Since Nori is made from seaweeds, which are rich in Iodine, it shouldn’t be much of a difference compared to Iodized salt. I have read all of the comments and love how dedicated you are to helping others with thyroid issues. I been taking 75mcg of Levothyroxine for the past year, not like I felt great on it anyhow, but unfortunately circumstances have it that I’m between doctors and will not be able to get a new one for a couple of months. I am looking for the best fit for supplement and any other supplements you would recommend for someone in this predicament? If you have some recent lab test results, perhaps it could shed some more light on your condition. 75 mcg of Levothyroxine is a relatively low dosage to begin with, so perhaps it might be something to talk about with your doctor the next time you see him/her. They might have a reason, though, to start you on that. Generally, thyroid supplements can be combined with levothyroxine, and they can provide some benefits to the user. How much depends though, on the person, his current state, and the supplement type itself. The top ranked ones we have on this page would probably be better for you. It could be helpful too to check with your doctor if you have a chance. Thank you! I am in between doctors and just received the ThyroMate in the mail today. What I found interesting was that it is made with Soy. I thought soy wasn’t good for people with a thyroid condition? Im so confuse about this soy thing but all I know when I was taking the Soy Isoflavones they made me feel so much better, I was back to feeling me but I stopped taking them after I found out I had hypothyroidism and I feel awful. I found out I have hypothyroidism this past April along with going through perimenopause and it’s all literally killing me. So Doc, if I heal my thyroid will I get rid of the symptoms that come along with it…My depression demon is getting the best of me. I’m going to stack Ashguwanda, Pregnenolone, DHEA, Soy Lecithin and 5 HTP and hope this regimen will do the job. If not going back to my Soy Isoflavones. Read an article yesterday that Ginkgo Biloba is ranking high for healing hypothyroidism so Im add this as well. Right now, soy is a bit of a controversial topic on whether hypothyroidism patients should avoid it. There is not really a consensus. Some experts believe soy interferes with thyroid hormone synthesis and absorption so people should avoid it, but others do not think it has any effect. While more studies are ongoing, perhaps it’s better to stay on the safe side for now and avoid it. If I remember correctly, because I did ask them about that too, I was told that there is very small amount of soy that is used in the processing of the minerals – about a tenth of a milligram – and very few, if any, soy proteins (which is what some believe may interfere with hormone absorption), that it is considered trace, and should not have any effect on the thyroid. However, due to allergy regulations, they had to include it on the label. You can ask them about it too, if you’re concerned. I am over 50 years old and my recent lab results have indicated that I almost have hypothyroidism according to my doctor. He says I have a slight problem converting T4 to T3 and recommended only diet changes now instead of starting on a drug. I have a followup appintment in the coming weeks. Can these thyroid supplements help and improve my results by then? I do think thyroid supplements can help improve your nutrient deficinces and support – in many ways – thyroid hormone production and conversion. We noticed that most of these supplements take about 2 to 3 weeks of consistent usage to really feel the effects of them. It does depend on the individual and the supplements, but I think that is the average that most should expect. If your appointment is in about a month, it definitely has the potential to improve your results. If it’s next week or even two weeks from now (as it will probably take you some amount of days to get a thyroid supplement either online or at a store), then probably not. How big are the pills in thyroid supplements? I am worried that i will not be able to swallow it….. normal sized ones I take now are trouble enough, so if it’s big, I wont be able to take it! I’ve taken quite a few of them. They are not at all big. Most are less than an inch in length and maybe half an inch in width and height? Definitely not something I, or anyone else I have talked to, would consider large by any means. Very easy to swallow in my opinion. I am currently living in London due to business and will not be back to the USA for some time. Do you know if it is possible to get the high ranked thyroid supplements on your list here in England? I heard good things of thyroid supplements from a friend of mine. I want to try them too. Unfortunately, I do not know the answer to that. This seems like a question the company you want to purchase the thyroid supplement from can answer or one of your country’s customs office. Some of these products are probably available on sites such as Amazon UK, like that can be an option for you as well. Wow… Your TSH is really high. Thyroid supplements may be able to help you. The ones on this page are pretty good. For TSH as higher as yours, I would recommend seeing an actual endocrinologist that prescribes you both T3 and T4 medications. What is your view on glutathione? I hear good stuff about this, but did not notice it on your list. Also, thoughts on liquid versus capsule delivery of thyroid supplements? The first question you have is interesting. So, glutathione is an amino acid that the liver produces and acts as an antioxidant. I won’t go into all the benefits here – the gist is that it’s important. High levels of glutathione have been linked to better health while lower levels are commonly associated with a variety of diseases. Unfortunately, you cannot take glutathione through supplements or other forms of pills. I mean you can – but glutathione consumed orally, will be broken down in the gastrointestinal tract and essentially be ineffective. However, you can help boost natural production of glutathione through a good, balanced diet that includes l-tyrosine, Vitamin C, and riboflavin to name a few. Most thyroid supplements – at least the good ones – already contain these. As for your second question on liquid vs capsules. This is essentially a debate on which supplement form is the best. You have tablets, caplets, capsules, softgels, chewables, powders, and liquids, as you mentioned. There seems to be a prevalent idea that liquid supplements are inherently better because they can be absorbed faster, but research studies seem to disagree. Liquid thyroid supplements do have the potential of being absorbed faster, but not that significantly, about 10 – 20 minutes. There does not seem to have a difference in terms of nutrition intake either. It also helps sometimes to have the thyroid supplement dissolve over a longer period of time. Basically, most liquid thyroid supplements costs a lot more, and often contains fewer vitamins, minerals, and amino acids (due to space restrictions) than common, better thyroid supplements. Some of them taste terrible too! I do see an advantage for liquid supplements, however. For those who cannot swallow pills though, it seems like a great alternative. For most others, though, I would go with the regular capsules. Hope that helps! I used to take thyroid supplements almost a decade ago… can’t remember what it was called but remember it said it had the ashwagandha and ginseng herbs…really helped me a lot but ended up getting off of it due to the cost… thinking about starting back on a thyroid supplement… hope it works will let this site know. Ashwagandha and ginseng are particularly helpful for thyroid health (see our article here on thyroid herbs). I’m not surprised you felt a lot better. Most people do! Hopefully, one of these thyroid supplements will have the same effect as that other supplement you took some time ago. Lets us know! Do you think people need thyroid supplements? I’m a bit averse to supplements in general. What other natural options are available for people like me? Do people NEED thyroid supplements? Probably not. I’m sure they can survive without it, but I do think they help a lot. I’ve heard countless stories of people who feel like they got their lives and a bit of their youth back. But there are other options. Our article on boosting thyroid hormones and function naturally may help in this regard. I do think thyroid supplements are perhaps the best option for most, and they shouldn’t be disregarded without trying it, but you should always choose the option that works best for you. 52 year old women. Developing a goiter on the side of my neck. It’s still really small if anything. Maybe just paranoid. What methods are there to help fix this? Thyroid supplements? There are other natural ways of improving thyroid function. See this link here. I don’t have a question, but I di want to add that thyroid supplements have helped a lot for me personally. I was used to feeling tired and having low energy all the time, but didn’t know there was much I could actually do about it. After taking thyroid supplements for a couple months now, I feel very different. In a better way !!! I’m glad they work for you! I think a lot of people are in the same boat as you were in a couple months ago. Sharing experiences like these can help those who are still in the struggle. Thanks! I’m looking for some advice.im a young male who trains at a high level (distance running) recently got a thyroid screen done and my t4 and t3 levels are far too low for optimal training and recovery. I’m looking into taking a low dose of NDT or one of these supplements. Would you be able to offer me your opinion which I should take based on my bloods. I’m going to reiterate the main points of the response you received (through email) as it may help others who are in similar situations. You’re T3 and T4 levels are less than optimal – especially for an athlete. As for what to do from here. 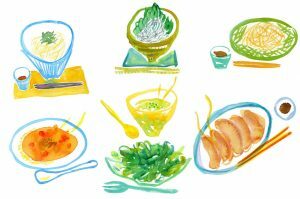 I would take a look at your diet and the kinds of foods you eat. If you’re diet is fairly good and if you take some form of supplements already, thyroid supplements may not be able to help you as much as others. NDT could help. It’s something to ask your doctor about, but you might have to go looking for one to prescribe you. In the sense that your tests are not THAT bad (when compared to others who have hypothyroidism), and you’re a young male. If you do take NDT, it will take a couple weeks for it to fully build it in your system. For the short term, I would look into B complex supplements and eating more (if you’re not overweight). They should give you the short term energy you need. His doctor said his thyroid tests are fine. He has been experiencing extreme fatigue when exerting himself in sports and has to stop, put his hands on his knees and take a breath within a few minutes of any type of exertion. He also has dry skin and very bad dandruff and just does not feel well generally. He gets very cold at times and very hot at other times. I would appreciate your opinion on whether supplements would help him since the doctors won't. I’m surprised the doctor said his thyroid tests are fine. From the looks of it, TSH is pretty high here, and T3 and T4 are on the lower end. It also sounds like he has other signs of a low thyroid as well. I do think thyroid supplements can help, and they are worth trying. However, I would also look at getting a second opinion from a doctor. If his symptoms are severe, he may need more than just supplements – actual medication that needs a prescription. Thank you – we will get a second opinion. Appreciate your advice! Found this site through google. Am i missing something here? Why is it important to have those nutrients like zinc or selenium in a thyroid supplement? The short answer is that these vitamins, minerals, and other nutrients have been shown to properly synthesize and produce thyroid hormones. Your thyroid needs the nutrients and herbs from these thyroid supplements in order to function at its best. The long answer (with references to numerous peer reviewed studies) can be found in articles around this website. Check out these articles on Zinc and Selenium to see why they are so important! I am currently taking synthroid and birth control. I have heard that Selenium may interact with birth control. Is there any truth to this? I have not heard or read of any interactions between selenium and birth control – in the sense that one does not prevent or interfere with the other from working, being absorbed, or doing it what it’s supposed to do. The only relationship I have heard of between the two, is this study that states oral contraceptives induce depletion of key nutrients including selenium. So according to the study, it would actually be better to supplement with selenium if using a birth control. Hi, My levels were borderline : Free T3 was 2.5 Free T4 was 1.1 and TSH was 4.110…all borderline low. I was feeling a bit tired so my doctor put me on Nature-Throid. All was good and I had more energy, about 3 weeks in, I started noticing amy hair falling out a lot. It’s now 10 weeks since I started, and I am going to stop. My scalp itches, my hair follicles changed texture to being so so soft that it just hangs and the hair loss is still happening. I must be allergic to something in it. I told my doctor and she said for me to stop since I was uncomfortable taking it. I’m hoping that the herbal medicines will keep my thyroid healthy. I’m a bit scared of going off the medication, but I must try to regulate the borderline thyroid with herbal alternatives. Yeah, it seems that Nature-Throid does not work well with your body. Hopefully herbal supplements for the thyroid can work to improve your energy without the side effects you experienced. I’ve been taking 100mcg of levothyroxine an I feel even worse than before and I’m gaining weight rapidly with no changes to my diet from before. My doctor won’t do anything about it. I refuse to live this way so I’m going to stop taking it. What am I supposed to do? I just want to feel better. Can any supplements alone fix my thyroid? I don’t want to continue the levothyroxine an become extremely overweight an feeling down an tired. What do I do? My doc isn’t helping an I am a cash paying patient with no insurance so I don’t want to keep going from doctor to doctor. I’m sorry to hear that. If levothyroxine is truly making you feel worse, I would talk with your doctor about changing the medication. It does not make sense to take a drug that makes you feel worse than before. As for your questions on thyroid supplements, I hate to say this: but it really depends on the individual. They work amazingly for some, who have gotten off their thyroid medications and just take supplements for now. But for others, they don’t work as well or have much of an effect at all. You could also be somewhere in the middle. I do think they are worth taking a shot with though. I have been taking Synthroid for about 10 years or so now due to hypothyroid. I have also been dealing with other autoimmunes such as Alopecia Areata. I currently take a vitamin called Hair Essential which I find speeds up hair regrowth but does nothing for the loss. Is there any evidence that adding a thyroid supplement would slow down or prevent my AA? Thanks! There is a connection between hair loss and the thyroid, but I have not heard of any cases with Alopecia Areata due primarily to a thyroid disorder. It can’t hurt to try, but I would not get your hopes up. I’m kinda shocked you didn’t include 1 Body’s Thyroid Support in your analysis. What do you think of that one? We have not obviously reviewed all the thyroid supplements on the market. We give each review a lot of time, and right now, we have not had a lot of that recently, so we have taken a bit of a break on that. I’ll try to look at 1 Body’s Thyroid Support later down the line. I know you don’t believe that liquid thyroid supplements are any better than capsules, but I have purchased the Thyrotain from Orthomolecular and find that the capsules are too large for me to swallow. I have a hard time swallowing capsules of supplements and have to have either very small tablets or liquid supplements, or sublingual tablets. Do you know any high quality supplements for thyroid that are sublingual or liquid form. There are some health drink companies that claim they support thyroid, like Plexus and Zeal (both are MLM) but I seem to have a detox effect when I take these and it is a very negative experience. I’d love your feedback or ideas. I’m open to tinctures or pretty much any type of alternative option to the capsules. Liquid supplements usually cost a lot more and don’t contain as much needed nutrients as others, but it does certainly have good benefits, especially for those are have difficulty taking large capsules, like yourself. I’m sorry to say that I have not seen any high quality liquid thyroid supplements. It’s a really small area of a small region to begin with, so I can see why most companies don’t make it. I’ll try to keep an eye out though. In the meantime, finding supplements with smaller capsules, or maybe even trying to crush or break them down might help. I am confused about iodine. Some websites say you shouldn’t take iodine if you have Hashimotos. What is your view? Good question! If you already know that Iodine affects you negatively, then obviously, you should not take supplements that contain Iodine. But if you don’t know, or if you did not have any negative experiences taking Iodine, then I believe you should try getting proper Iodine supplementation. I believe that proper Iodine intake is far beneficial than its potential drawbacks, so everyone should try it first and then see how it affects them. I have been taking 200 mcg for a few years and still low energy and motivation. So much I want to do! Difficulty sleeping. Leg cramps etc. Gaining weight after gastric bypass 5 years ago. Like trying to get more energy. Take multiple vitamins, vitamin d, calcium, vitamin c, vitamin b complete etc. I am looking for supplements that would help booster my energy. Any advices would be appreciated. I would definitely recommend trying some of the supplements here. Most have money back guarantees, so you have nothing to lose! I noticed you said you take 200 mcg as well as calcium. Is that 200 mch of levothyroxine? Calcium actually interferes with the absorption of levothyroxine. It might be something to avoid, or at least avoid taking at the same time. I take daily womans vitamins .do i discontinue taking my daily vitamins when i take thyromate? Usually you should not have to discontinue one supplement to take another. A lot of people take multiple types of supplements at the same time. My mother takes thyroid supplements. I have been feeling tired lately. Should I take what she is taking too? It sounds like you could possibly have an underactive thyroid. An underactive thyroid, or hypothyroidism, has been shown to be hereditary. It might be a good idea to talk with your mother about what she takes and possibly start taking that as well. Hi I just ordered some of the top recommended thyroid support supplements. One was by Pure the other 1 body. My question is, are my needs different if I have an auto immune disease and my thyroid has been destroyed. My Dr said I have no thyroid anymore. I take 60 mg of Armour. I previously took Synthroid. I feel no better on Armour. And I really dont like taking a pill from slaughtered pigs that Im sure lived a horrible life before death. I am switching back to Synthroid. So does suppliments help when I have no thyroid left?? Thank you for any info!!! If you do not have a thyroid anymore, thyroid supplements will be ineffective for support thyroid functionality. The nutrients might help for other parts, but no thyroid hormones can be produced inn your body if you no longer have a thyroid. Hi I’ve been hypothyroid since I’ve been 18, I’m now 51. Synthroid worked up until age 45 then I started having extreme heart palpitations and anxiety. I went off synthroid and slept well, was able to actually sit and read a book and had no anxiety. Now I’m on tirosint once again I have extreme anxiety. Drs to combat this put me on anti depressants, Lorzepan and a blood pressure medicine to eliminate the nightmares Tirosint gives me. I traditionally have very low blood pressure. There has got to be a better way than to treat side effects with more drugs. My thyroid is now within the normal range. Any recommendations you can offer? Hey, what are high potency extracts? High potency extracts refer to the quality of the ingredients in the supplement. For example, with iodine it would likely be the plant in which it is extracted from. Higher quality sources often lead to higher quality supplements. I’ve been following thyroid advisor for some time now. Thanks for all the information and reviews you have done. This site helped me find a great thyroid supplement that makes me feel like those days when I was young! I was wondering when more thyroid supplements would be added. I am always looking for better ones that can make me feel even better. Thanks for those kind words! We will be reviewing more thyroid supplements this year. It’s kind of hard, since we have normal jobs as well, but we do try to find the time to write posts and reviews. How do we know whether we have a thyroid problem and how can these thyroid supplements help those who do? If you experiencing some/most of the symptoms of a thyroid disorder (some can be found here but you can google for the rest) and/or if your thyroid levels are not where they should be, then you likely have a thyroid problem. These thyroid supplements help to re-balance your thyroid through the unique combination of vitamins, minerals, herbs, amino acids, and nutrients they contain, and which are often forgotten from our diet. With the nation wide shortages of Nature-Throid and Wp Thyroid, more people are starting to try thyroid supplements. I wonder how people feel with these supplements compared to the other natural thyroid drugs or even the synthetic ones. The backorders with RLC Labs has been going on for some time now, but recently, according to their website, they started shipping out the low dosages of Nature Throid again. Its certainly a sad situation since a lot of patients rely on their drugs. Its part of their life – and not having any to take for a long period can really mess things up. I believe most were forced to take other natural thyroid drugs. I wouldn’t be surprised if some of them took thyroid supplements. While thyroid supplements are more natural, most of them do take some time to fully work in bodies. NDT’s on the other hand contain T3 hormones, as well as T4, so they’ll work a bit faster. It shouldn’t take too long for the patient to feel the effects after continually taking them. I would be interested in hearing what other patients feel – and how supplements effect them. From the other comments on this website, it certainly helps. Please do more reviews for thyroid supplements. I’m interested in learning which companies and supplements are worth it and which one’s are not! Thanks for this website and the resources you offer. Can I take these supplements with Armour Thyroid? I would not recommend getting off prescription drugs. Usually you can take supplements along with Armour Thyroid (though its better to check with your doctor who knows your specific treatments). Can these thyroid supplements, and if so which ones, cause weight gain? I have noticed, as others have as well unfortunately , that synthroid and other forms of levothyroxine have caused weight gain for me… might try thyroid supplements, but dont want to gain more weight. Although it is uncommon that a patient will gain weight when taking thyroid medications, like synthroid, that you mentioned, it does happen to some. However, it is much less likely that thyroid supplements will cause weight gain. I have not heard of people gaining weight just due to taking a thyroid supplement. Do they have anything that is better for a thyroid that goes overactive or are these just for any thyroid once it is back to normal function? These thyroid supplements help support the thyroid. I don’t want to say for sure it will help you, but I do think it could. There’s very little risk to trying it with the money back guarantees the companies offer, so I would try it and see if it helps me if I were you. I am wondering if this contains eggs or pork. I am allergic to eggs and do not eat any pork products. In other words I guess I need this to be vegan. Depends which supplement you are talking about since there’s about 10+ on this page. I would ask the manufacturer of the supplement those questions. I’m hesitant about taking them because I don’t see any comment on how this will help me. Many patients report feeling a lot better with thyroid supplements. You can try one and see how it fits with you. 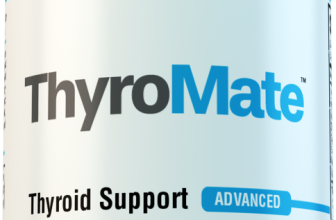 Most of them, Thyromate included, have a money back guarantee so you could always get a refund. High potency extracts refer to the quality from which the ingredient is derived as well as the amount. Hi I have had radio-active iodine twice so my thyroid doesn’t work, will these supplements be okay for me to take. Most of these thyroid supplements work to help support a thyroid. If your thyroid does not work anymore, it might not work as good as you hope. I take many of the ingredients in these supplements individually. Is it bad to take so many supplements daily? I have a TSH of 5.2 showing slightly underactive thyroid and feel pretty ordinary most days… Im hoping to be able to heal myself naturally. It depends on the amount of each vitamin/mineral in the supplements that you already take. If it is significant enough, then taking more supplements with the same vitamin/minerals can lead to vitamin/mineral overdose, which can have unpleasant symptoms. Most of these thyroid supplements also contain herbs that are not commonly found in other supplements. Herbs can be very beneficial for the thyroid as explained in this article here. My levels of FT3 and FT4 are in the biological reference intervals 3.61pg/mL and 1.24 ng/dL respectively. However, my TSH3 was as high as 7.5 uIU/mL (reduced from 16 post medication – Thyronorm 50mcg). I was diagnosed with Hypothyroidism because of not my unusual levels of T3 and T4 but higher TSH! Do you still think I should go for a thyroid supplement like thyromate even while the T3 and T4 levels are under acceptable limits? What is its effect on TSH please? Your TSH is definitely higher than what any doctor would consider normal. What symptoms of hypothyroidism do you have? Lowering your TSH may help get rid of them. Of course, you can try a thyroid support supplement. Most have money back guarantees so there is no risk involved. Hi, I’m 36 years old, I was diagnosed with hyperthyroidism/grave disease on 2/21/18 and I had radioactive iodine on 2/23/18. Will it benefit me to take any good thyroid supplements to heal my thyroid back naturally to avoid relying on synthroid for the rest of my life? From time to time, I have rapid heart beat and swollen ankles. I’m currently on propanol HCL (for high blood pressure and fast heart rate). my free t4 is 1.08 my tsh is 2.20… My eyebrow hair fell out, I gained 10 pounds in 6 months and I have a temp of 96.5 everyday…. Help me diagnose this.I eat so very little and it feels like my metabolism is dead! I am always cold & tired. I mention it to doctors and they don’t care. what suppliment would you recommend me take. I am 56 years old and athletic but feel like something died within me. please help with advise. I have hyperthyroidism and was told to not eat seafood and/or sea salt. Can I supplement with fish oil EPA/DHA to get my Omega-3 fats if I have hyperthyroidism? I had a partial thyroidectomy in 2008. (thought malignancy, but turned out benign tumor). My levels went from high normal to low normal, and have remained fairly steady. Not on any replacement therapy. I have a few of the common symptoms of hypothyroidism; very dry skin, brittle nails, tired most of the time, weight gain. What should I do (or not do)- that will help what I have left of my thyroid be most effective without over “stimulating”. My thoughts are that I could do damage or harm to the remaining portion of my thyroid. Is that possible? Overworking what’s left? I am now 34 years old, at 29 I had a complete hysterectomy which threw my thyroid out of wack. I am currently taking 88 mcg tirosint (its worked the best) and also all natural hormone replacement. My bloodwork shows I’m in range but I still struggle with lack of energy, achy and just feeling crappy. 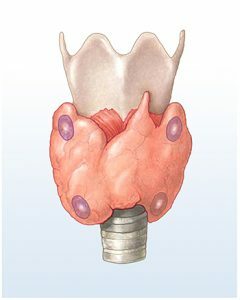 My question is would it be safe to try the thyroid supplements with the tirosint, it’s the only one I havent seen mentioned. I’m also taking DIM supplement to help increase my estrogen absorption. I have a noticeable swollen thyroid, not quite a goiter and I have gotten tested several times and my thyroid levels are fine. I got an ultrasound on my thyroid and I have a couple of nodules but nothing to worry about yet. My grandmother was hyperthyroid. I have always been very skinny But in my early 20’s while using bc pills my body went out of wack and I got every side effect imaginable, I got several patches of hair loss and I stopped them. When I had my babies I lost a ton of weight, but in the last 4 years I have gained a lot of weight back without changing much of my diet. My skin is ultra dry, I shee a lot of hair, I am brainfoggy and fall asleep by 9pm and never really wake up rested. All of my blood tests seem fine, my doctor thinks that I’m just depressed (I am not depressed) and that I need to exercise more but When I do I have 0 energy and I feel grumpy. People say that exercise give you more energy but its the opposite for me. Anyway, the only test that is always low is vitamin D which I take daily supplements, I also take New Chapter multivitamins which make me feel good although it doesnt take care of everything and fish oil, would thyroid support supplements be ok to take with the rest of my supplements? Do all these symptoms seem like hypothyroidism? Thanks for sharing your experiences. That definitely does sound like some of the symptoms of hypothyroidism. It might be helpful to go to an endocrinologist and get some tests done to learn a bit more about what is going on. I have, I got a thyroid ultrasound, tsh and t3 levels in the normal range. I have an enlarged thyroid and aparently “some people just have a large thyroid” that was my docs conclusion… I have a couple of small nodules in my thyroid but nothing that I need to be worried about apparently. I started to take some thyroid supplements in the last few days, I feelmore “awake” without the dragging feeling, lets see if it slowly helps to get my body back to normal or my neck looking normal again…. If you read a list of symptoms for hypothyroidism and experience a number of them, it probably likely you have hypothyroidism but it is always better to check with your doctor and make sure. It’ll still be safe and OK to take, though since you live in New Zealand, it might be harder to get some of these supplements that we reviewed – I’m not sure if they are available in NZ but you can check with the companies. My doctor has advised me to get a multivitamin that has thyroid support. I am on 200mcg of levothyroxine. Any suggestions? Thyroid supplements can definitely be helpful with most medications. I always recommend checking with your doctor first, as some medications may not work the best with certain supplements. It sounds that you already did that though, so choosing a thyroid supplement off of this page would be a great idea for you. I have tried NP Thyroid (30 MG), levothyroxine (50 mpg), and Tirosint (50 mpg) and all of them give me terrible stomach bloating, cramps, constipation, a burning in my stomach and nausea. The GP I went to told me quit taking all the prescription medication. I have read research that says many of the supplements advertised sometimes have more of the T3 and T4 than the prescription medication does. I am not taking anything now but I am worried and until I go to a endocrinologist, is there a natural supplement that may help me. Any advise would be appreciated & if someone that has been to a doctor in Texas that has helped them, I would appreciate it. The undisclosed amounts of hormones in supplements comes primarily from supplements that contain some from of thyroid gland, usually from bovine. These desiccated, crushed glands often have varying levels of thyroid hormones and it does not say the amount of hormone levels anywhere on the bottle. We recommend avoiding these supplements. I had my thyroid removed several years ago, and still unable to stabilize my levels. Currently taking Armour Thyroid, after trying several synthetic medications. Unfortunately, thyroid supplements do not work as effectively if you had your thyroid removed. They primary work by helping support the thyroid with vitamins, minerals, amino acids, and herbs to help your thyroid work at its best. However, this can only happen when the thyroid gland is present. Generally, my experiences with taking supplements and prescription medications have been fine – especially if you take them a couple hours apart. However, I always recommend checking with your doctor to be safe, as they know more about your condition than others. Within one week I had 2 bald spots. 1) could this be linked to the MRI? 2) why can’t we use rogaine? my hair grew back on it’s own. 2 years later I have another bald spot and it’s pretty much the worst thing to ever happen to me. I have long hair to the top of my bummy and it’s a dibilitating situation. Are there any vitamins to regrow my hair? Biotin worked for awhile but has stopped working. 3) will prenatal vitamins work to grow my hair back work with my levothyroxine at 75 mcg. And do you know of anything that is for sure to grow back my beautiful hair. And thank you for taking the time to help each and everyone of us who has questions or comments. Thank you sir for your compassionate way. If nothing else changed before taking the MRI and then suddenly after taking it, a week later you experienced bald spots, I would think it has something to do with the MRI – the only change that could cause this reaction. If it is alopecia, rogaine will not be as effective as regular hair loss, and perhaps that is why your doctor recommended against it. Vitamins and minerals, like those in the thyroid supplements here, can help with hair regrowth to a limited degree. Only after consistent usage over time will you perhaps notice hair growth and thickness. It is unlikely that suddenly after taking them, a couple days later you grow back these bald spots. That would be rare. I’m 35 and recently (December) had a total thyroidectomy due to cancer and a round of RAI in February. I’m on tirosint and cytomel currently and want to boost the T3 hormone more (because it seriously makes you feel so much better!). My doctor is hesitant to do a higher dose of T3 (it’s a small dose) until we do my ultrasound in September so I’m on the hunt for supplements that will have the same effect as the T3 so I can function better. Are there any out there that can help? I have read through the majority of questions/answers here and did not see any that addressed Graves/Hyperthyroidism? I currently take 5mg of Methimazole are any of these supplements you recommend advisable for someone with Graves Disease? I have low t4 and free t4 index, I have major depression, fibromyalgia, the MTHFR mutation, fatigued- but am not on anything yet as far as prescribed medicine, what should I take? In reading comments, I see you advise staying away from thyroid support supplements with soy & calcium. In looking at the ThyroMate website, it states in the Allergen Warning section that contains Soy & Shellfish?? My understanding is that there is no soy proteins in Thyromate. There may be some contaminants with some other supplements in the manufacturing facility, however, that is needed for allergen warnings. Best to check with them. I have been suffering from weight loss (60 kg/185 cm), anxiety (wake up after couple hours sleep w/racing heartbeat), depressive symptoms, hair loss (and thin hair), and digestive issues (IBS, food sensitivities). All gastro tests showed up negative, and then I consulted a functional medicine practitioner who said I had adrenal fatigue and put me on a cocktail of supplements including adaptogens, mood improvers like 5-HTP, vitamins, amino acids, DHEA and pregnenolone. It helped stabilize me for a bit, but I again regressed after a stressful period in my life (ongoing). What is your opinion of adrenal fatigue (is it real?) and starting Thyroid medication? I recently had my thyroid removed and Synthroid isn’t cutting it despite normal levels. Any suggestions? There is a new product out Thyro8, I cannot find it on your reviews, how often are you reviews updated? Help! Was hoping you might have some insight on this. I had a baby 6 months ago. Around 6 weeks postpartum I started to feel odd. Like an off balance feeling in my head. Much like how I felt first half of pregnancy. Well I still have it and no one knows why. I have had tons of bloodwork and spoken to a few women who had this as well and they all ended up with a thyroid issue that once treated cleared up thejr vertigo. I also feel like I’m jumping out of my skin a lot prob bc I feel dizzy ALL the time. Mr dr said it’s jusy hormones needing to reset. I recently looked at my current bloodwork and didn’t know if you had any thoughts if this could be impacting me. ***Past tsh tests (from other physicals over the last few years)said my tsh level was 1.2. Now it’s .79? I have half of my thyroid ,have hypothyroidism, I don’t take any medication, my Dr always says that my levels are fine but I am tired all the time and can’t lose weight no matter what I do. Do you think these supplements can help me? Having half a thyroid and taking no medication? That does not sound right. Thyroid supplements work best for those that have a full thyroid. It could still help, but I would also look at getting a second opinion on the medication and thyroid hormone levels. About 4 years ago I weighed about 110lbs at 5’7. I had anxiety, insomnia and I had tachycardia. Suddenly, with no change to my routine or eating habits, I started gaining a lot. One doctor suspected my thyroid and ran some tests. He also had me do a swallow test and sent me to an ENT who determined I had a cyst on my thyroid. Now I am in the high 170s. I exercise everyday. I eat clean and green and I can’t shed a pound. My thyroid levels are within normal on the low side. I want to try a supplement but I am worried about too much iodine causing the nodes to get bigger. Any suggestions? If you’re worried about the iodine, I would look for a supplement that does not have any. To be fair, though, most thyroid supplements do find iodine. I once saw a supplement that contained only iodine and was labeled as a thyroid supplement! We did review a thyroid supplement without iodine, ThyroChoice, which you can see here. I am Taking compounded T3 or Liothyronine 25mcg twice a day. I have Been taking this for 8 years for hypothyroidism because I did Not tolerate synthroid and Armour very well. They made me extremely tired and increased my reverse T3. I still Get tired all the time taking Just T3 though. Is there any supplement that would help me? Also I have To take methlfolate and methl B12 because of my MTHFR mutation. Thanks for any suggestions! Your case is definitely not unusual, and there are a lot of great thyroid supplements on this page that could help you. I would recommend just opening up a couple reviews and then reading them. Be sure to look at the ingredient facts label, and find one that has methylcobalamin as the source of Vitamin B12. Wondering what high quality ingredient, like you wrote is, compared to one that is not. If you could provide an example since I’m a bit confused, that would be great! What we refer to by high quality ingredient, is the origin of the ingredient and how the source is present in each capsule. This is often found in the ingredient facts label. The source of each ingredient greatly affects the overall quality of the thyroid supplement itself. A good example of this can be seen in protein supplements. According to research, whey protein supplements, when compared to soy protein supplements, are absorbed better and lead to higher to higher testosterone responses. So if you were just looking to gain as much protein as possible, disregarding other things, whey would be the way to go. Practically, of course however, you do have other factors to consider as well – whether you are vegan or have lactose intolerance, but that’s a simple example. What if you are not positive that you have a cyber condition but you seem to to be experiencing all of the symptoms of an under active thyroid? It seems that all of the ingredients are ingredients that you would find naturally foods, so could it harm you? I’m not sure exactly what you mean in the first sentence, but I’ll answer your second question. Yes, pretty much all readily available supplements contain ingredients that you can find naturally in foods. Finding those foods and eating them would certainly be safe, provided you do not have an adverse reaction to that food… such as an allergy. Thyroid supplements just make it easier to obtain the ingredients and nutrients without having to specifically go out and find foods that contain it. If the food tastes bad too, swallowing a pill is much easier than eating something you don’t want to! Thanks for listing the best thyroid supplements. I would just like to ask whether you could recommend some all-natural alternatives to supplements. I’m quite wary of taking supplements because of fear of side effects. Most of the top supplements on this page are all natural, but you can check each individual supplements website to make sure. I do agree with you that supplements that are not all natural should generally be avoided. Thanks for describing what thyroid supplements are in a way that is easy to understand! I like how you also put that this article was written by a thyroid expert. It helps me trust this more. I will be checking out some of the thyroid support supplements here! Thanks for letting us know. I’m glad this article on thyroid supplements was helpful for you – and many others as well.